A latest version of Norton Security Toolbar (2018.13.2.22) for Chrome has been released to address a few bug fixes. With this update, the Norton Security Toolbar will be hidden by default. Even though the Norton Toolbar is hidden, it will still perform all of its functions such as Safe Web, Anti-phishing, Scam Insight processing, and show block pages. 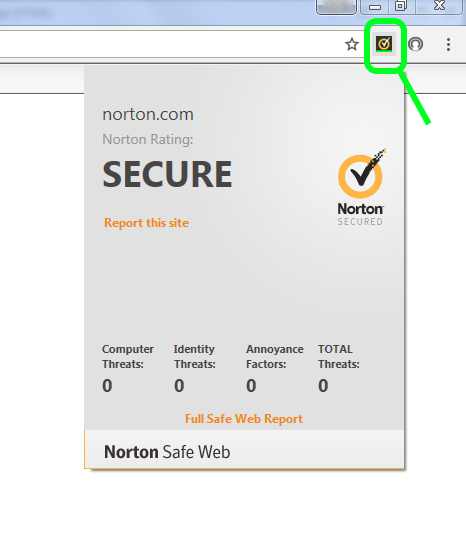 On the top-right corner of the Google Chrome browser, click the Norton Security Toolbar extension.